Have you always wanted to go kayaking, but never had the equipment or space to do so? Guided Kayaking Tours at Rooster Rock are for you then! A great family event, these tours are available for sunset and sunrise tours to see the beautiful Columbia River Gorge. 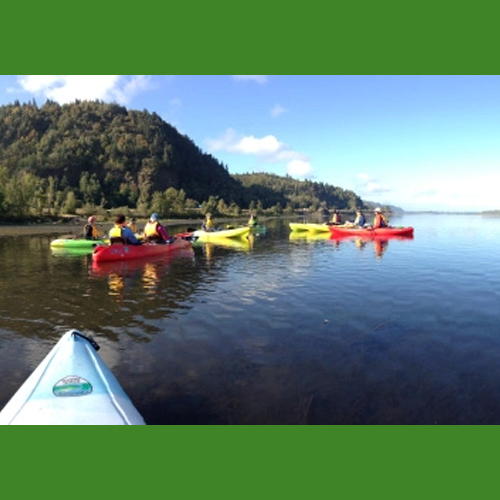 Join park rangers for a 2 to 2.5 hour guided paddle on a protected part of the gorgeous Columbia River. We provide the kayaks, paddles, and PFDs. We’ll teach you paddling basics such as strokes, gear selection, and paddle safety. These tours are suitable for beginners. Participants must be 8 years and older—youth must be accompanied by an adult, and youth 8 to 12 must paddle tandem with an adult.